In todays interview I get to speak with top LCHF diet journalist, Marika Sboros, about the HPCSA vs Prof Tim Noakes Case in South Africa. We talk about the three year saga that Prof. Tim Noakes had to endure in his case to defend himself in front of the Health Professions Council of South Africa (HPCSA). This was meant to just be a case about ethics, but was clearly defined more as a case to present the science for the benefits of the LCHF (low carb high fat) diet. Marika was at all the hearings and documented, in detail, all the people and organisations involved against Prof. Noakes. Including all the twists & turns and strange events that happened. If you or anyone . 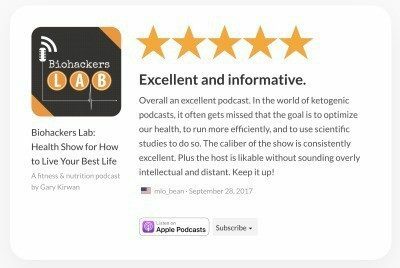 you know is interested in the background story summary of the events that eventually lead to the result of Prof. Tim Noakes found not guilty in the end then you’ll like this episode. UPDATE: 8 June 2018 the Health Professions Council of South Africa lost its appeal against the verdict in favour of Prof Tim Noakes. Prof Tim Noakes is cleared of any wrong doing! Marika is officially Tims’ fourth angel. You can find out more who the other three are in the show notes below. Special thanks to Marika for joining me on the show. Enjoy the episode! Go to Marikas’ dedicated trial coverage section as a central resource to read every single article published by Marika on the Tim Noakes trial and follow Marika on Twitter or Facebook. How a hearing became known as the “banting for babies trial” & wasn’t about getting babies into nutritional ketosis.